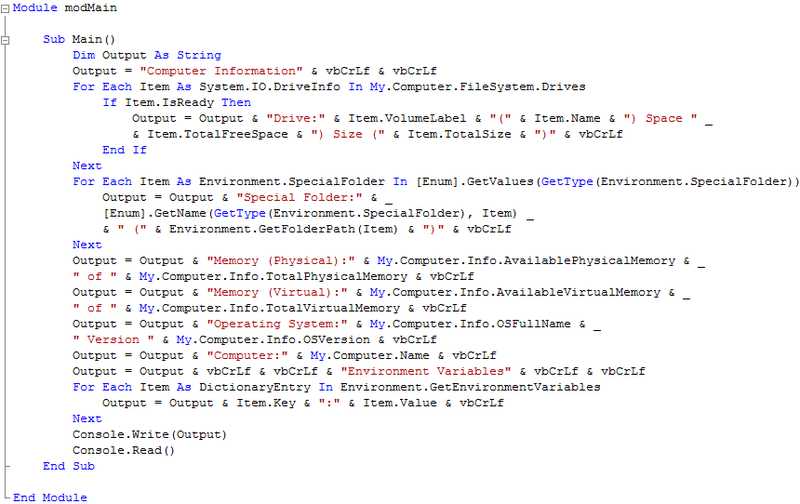 In this tutorial you will learn how to create a simple Console-based Application which displays information about your PC using the "My" Namespace and Environment Variables! 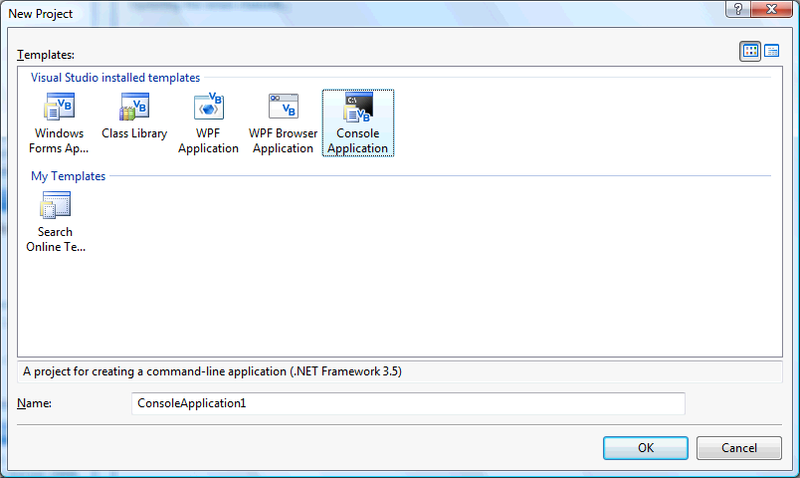 Click on the Close button on the top right to end the application or press any key such as the Spacebar. 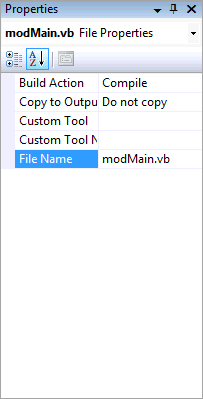 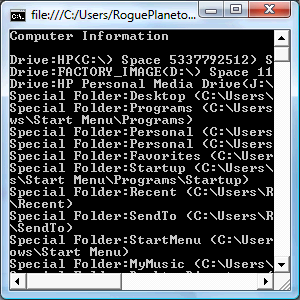 This is a very simple Console Application outputing information to a Console Window, the Console.Read waits for any input such as the Spacebar , this could be changed to show more or different data, console applications are useful for when you want to do something that does not require anything to been seen, it is up to you, make it your own!